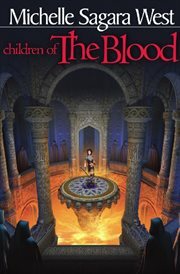 The item Children of the blood, Michelle Sagara West, (ebook) represents a specific, individual, material embodiment of a distinct intellectual or artistic creation found in Charlotte Mecklenburg Library. The author of Into the Dark Lands returns with a new chapter in the fantasy epic... Erin-newly dubbed Sara-has been forcefully put to sleep for three hundred years, while her Lord finishes overtaking his enemies... and Sara's kinsmen. After conquering and slaughtering the last of the Bright Heart lines, he awakens an amnesia-ridden Sara and assigns one of his slaves, a fellow "child of the blood," to comfort her. But as Sara's memory slowly returns and her rage intensifies, the Servants of the Dark Heart and the Dark Heart itself become increasingly dangerous to both her and her caretaker..